Vintage postcards from the past to use in scrapbooking, collage and art. A collection of fun, funky, interesting, vintage postcards, ephemera, photographs and images. 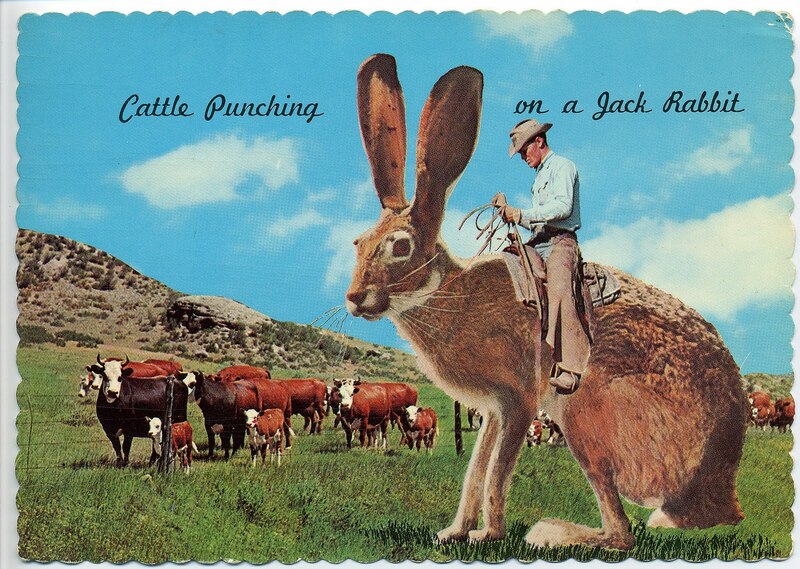 Enjoy Cattle Punching on a Jack Rabbit! This is a great travel postcard featuring a supersized rabbit. I guess it's meant to be funny, but it reminds me a of a B-horror sci-fi flick from the 60's. I am still trying to figure out what I want to do when I grow up. Oh, wait, I am grown up and loving it, but still trying to figure out how to make my mark in the world. Do I define myself as an artist, or someone who is crafty?